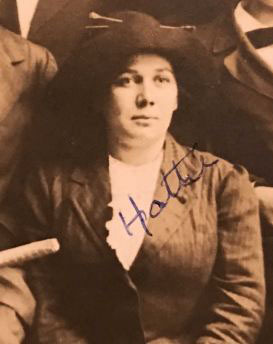 Hattie D. Moose, c. 1910. 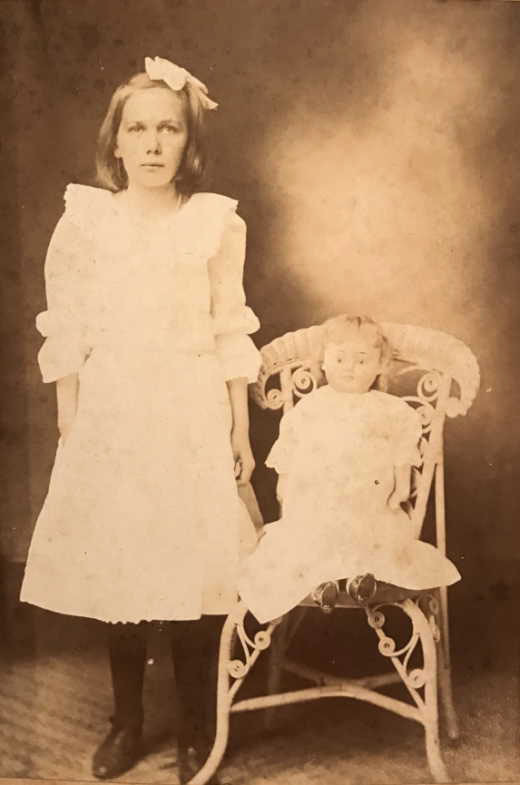 Hattie D. Moose Cox with Harvey Cox Jr., c. 1924.
with sister Donor, c. 1900. Hattie D. Moose, c. 1903. Salisbury Evening Post (Salisbury, NC), July 10, 1918, p. 2. Miss Hattie Moose was in th city Monday afternoon on her way home to Albemarle from Oxford Orphanage where she had been looking over the field with a view to accepting work as a teacher. She was very much impressed with the work and liked the town very much, and has decided to accept the postion. She goes there about the last of August to begin her work as teacher the first of September. She was educated in the schools of Stanly and later attended Mont Amoena Seminary at Mount Pleasant. She has taught school for several years in the county. 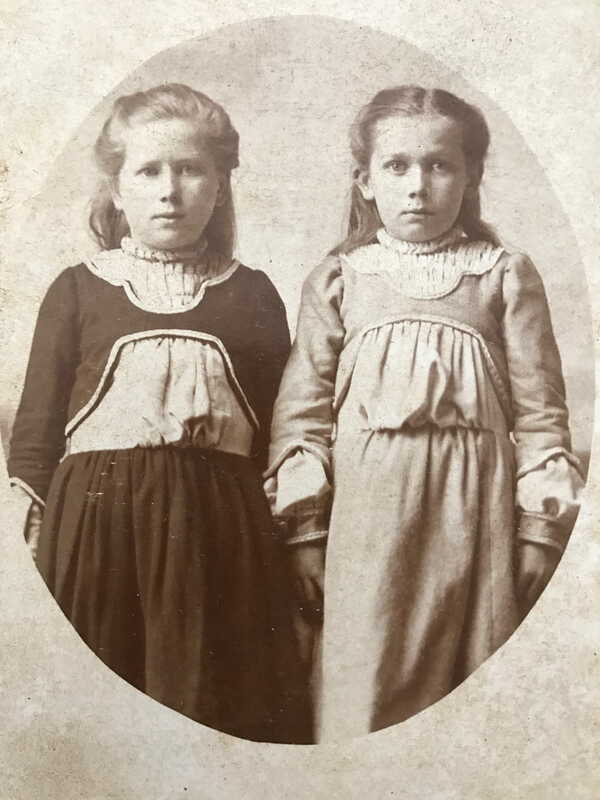 In the summer of 1918, Hattie Moose accepted the teaching position at the Oxford Orphanage, in Oxford, NC, northeast of Durham. Oxford Orphanage opened in 1873 and was similar to Cabarrus County’s Stonewall Jackson Training School – with residential cottages and vocational training. Their program reflected ideas she presented in her graduation essay, “Vocational School a Necessity.” She began teaching that September. Her work there was short-lived. In October 1918, the Spanish influenza epidemic hit the orphanage, causing 250 children to be sick at one time, 42 of them with pneumonia. With nine of the faculty sick as well, townspeople volunteered to come to the campus to cook, nurse, or perform other chores. Hattie moved on in January 1919 to other teaching positions and attended the University of North Carolina at Chapel Hill. She married Harvey Atkinson Cox in 1921 and had a family. She continued teaching and stayed active in civic organizations. Greensboro Daily News (Greensboro, NC), August 22, 1971, p. 44. ABEMARLE – Mrs. Hattie Moose Cox, 78, of 304 N. First St. died Saturday in North Carolina Lutheran Home here after a short illness. Funeral will be 2 p.m. Monday at Christ Episcopal Church, where she was a member. Mrs. Cox, a graduate of the University of North Carolina, Chapel Hill, was a retired teacher with Albemarle city school system. 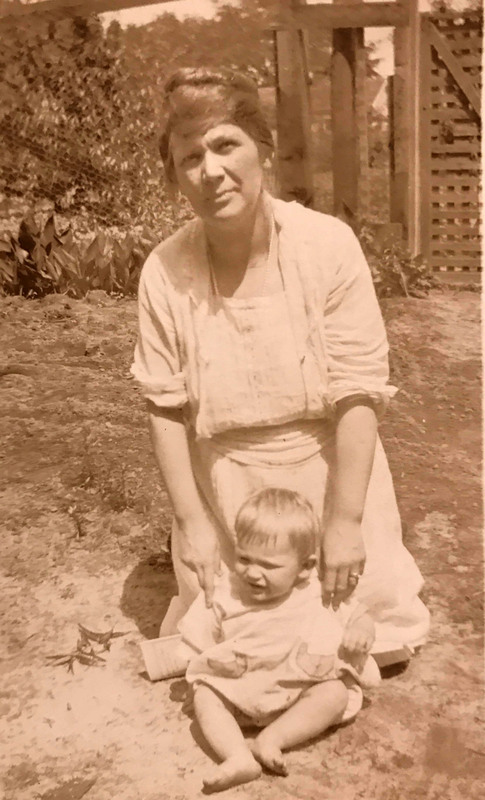 She was a member of Albemarle Women’s Club, Episcopal Women’s Club and War Mothers. Surviving are son, Harvey A. Cox Jr. of Greensboro; daughters, Mrs. Cliff Delapp Jr. of Lexington and Mrs. John W. Snuggs of Albemarle; brother, Paul A. Moose of Albemarle: sister, Miss Donor Moose of Albemarle. The body is at Lefler Funeral Home here. The family will see friends 7-9 p.m. at the home of Mrs. John Snuggs, 607 N. 7th St.